Just Property is a keystone real estate company that occupies a sizable percentage of the property market in South Africa. Despite the challenging residential property market, we have presented growth and success.As a main player in the real estate industry, we offer friendly professional services towards sales and rentals of the residential sector as well as the commercial or industrial sectors. Whether you have a property for sale in South Africa or simply want to find a responsible tenant, our team will always have your best interest in mind. As a proprietor, you will have the benefit of a stress free experience while your property is being taken care of by very capable hands. For those of you who are looking to purchase or find properties to rent, our accomplished real estate agents will surely find the perfect property that is best suited for your needs. Just Property will satisfy all of your real estate needs. Whether it’s sales or rentals and regardless of the property types. Let us take care of YOU.Our qualified real estate agents are ready to service you. Call us today for a FREE evaluation for your property. Carletonville is a small mining town located less than an hour’s drive from Johannesburg just off the N12 “Treasure Route”. This area was officially designated as a town by Guy Carlton Jones in 1959 and today is home to one of the world’s deepest mines. Carlton property includes double story homes on expansive plots as well as smaller house toward the center of town. Many of these properties are within close proximity to most amenities such as shops and restaurants. 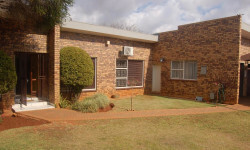 Houses for sale in Carletonville are well suited to families looking to escape the limits of city living as well as those working in the surrounding mining businesses or tourism industries. Take a look at the available Carletonville properties in our portfolio below. Explore Carletonville Sterkfontein Caves Take a 45 minute drive to discover this set of limestone caves that form this World Heritage Site. Here you can see fossilized remains of animals and plants from millions of years ago. Abe Bailey Nature Reserve This protected reserve on the outskirts of town is made up of wetland, grassland and bush habitat. For this reason, it’s well known as a bird lovers’ paradise that can be explored by car or on foot via a walking trails. Golf Just 10 minutes out of town is the Goldfields West Golf Course where you can enjoy 18 holes in a natural and unspoilt environment. Skydiving Carletonville is home to the official Johannesburg Skydiving Club where you can feed you need for speed and enjoy an aerial view of the surrounding area. Living in Carletonville Areas near to Carletonville Klerksdorp, Potchefstroom, Vereeniging Shopping From banks to health and fashion stores, you’ll have a range of choice when it comes to shopping in Carletonville. Head to the newly build Carletonville Mall, Gateway Mall or find a quaint coffee shop along the town streets. Schools There’s a wide choice of schools here, including Carlton Jones High School, Westfields Primary, Dagbreek Primary, Jongspan Primary, Danie Theron Primary, Wonderfontein High School and Carletonville High School. 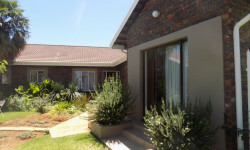 You can also explore boarding facilities in the nearby town of Johannesburg. Medical Along with Doctors and specialists in town, your family’s needs can be seen to at The Fountain Hospital on Annan Road, R500 Between Carletonville and Fochville or Fochville Hospital at 3rd Street 10, Fochville. Travel Given its location, travel from Carletonville is simple and lends well to those looking to head into the city for a weekend as its only 54 minutes to Johannesburg, and just over an hour’s drive to O.R. Tambo International Airport. If you’d like to enjoy a getaway to the Vaal River, the towns of Vereeniging and Vanderbijlpark are also about an hour away. 60 Eggo Jan Street Carletonville , 2499.